Avalon is one of the most powerful and heartbreaking albums of the year. With her first full length as The Huntress and Holder of Hands, and the first since losing Dave Lamb, her husband and Brown Bird bandmate, MorganEve Swain has crafted this amazing album that keeps what we loved about Brown Bird and growing from it. 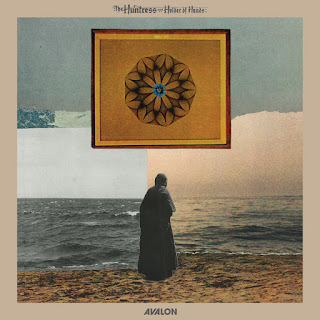 Avalon keeps the eastern European folk sound prevalent in much of Brown Bird's catalog, keeps the metal leanings of Axis Mundi, and adds in some of the noise of indie rock. It's an album of loss and rebirth. It may look back fondly, but it moves on from a horrible loss into something brand new, while still cherishing the past. Plus, it includes "Borealis," which may be my favorite song of 2017. Songs of note: "Borealis," "Shake Off Your Flesh," and "Creatures in Flight."